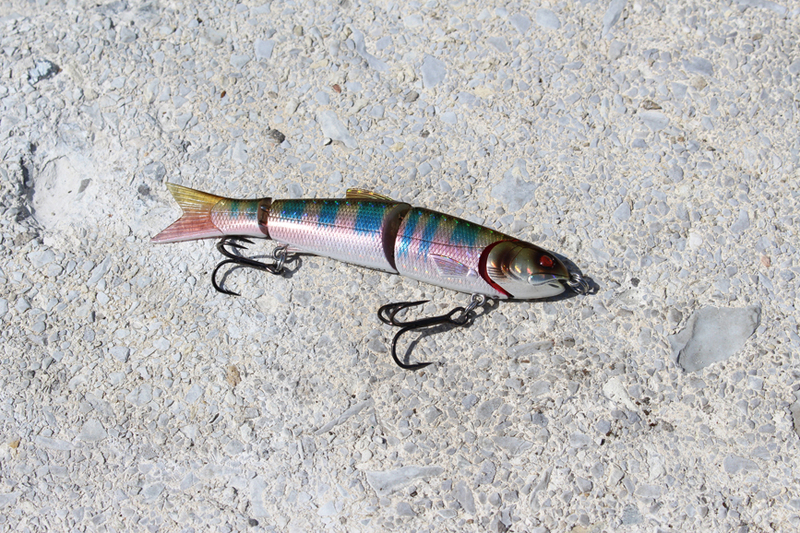 A jointed swim-bait with a ultra lifelike appearance and swimming action. This is a lure which is tremendously attractive to pike, bass and large trout, as well as proving highly tempting to sea bass at river mouths and estuaries. In the water it performs like a moderate sinking lure, so it can be used to fish at the desired depth. A smooth, realistic swimming action during line retrieval, whilst with a stop and go action and slight jerks of the rod, it becomes deadly.